Going into extra innings, the city Parking Advisory Committee is meeting Tuesday to iron out recommendations it will make at an upcoming Board of Aldermen meeting. The committee meets Tuesday afternoon at the Police Substation at New Bern Mall, because what better way to encourage public participation than holding a meeting in a police station? The committee was supposed to present its recommendations to the Board of Aldermen on Oct. 24 but has gone two meetings past that date, including the one scheduled for Nov. 7. It has until Dec. 12 to present its recommendations, after which it dissolves. Two aldermen on the committee vacate their seats on the Board of Aldermen at that time, Dallas Blackiston, who lost his reelection bid, and E.T. Mitchell, who was appointed to the board and did not choose to run for it in October. Enforce the two-hour time limit on parking downtown (which already has two-hour time limits; who knew?). 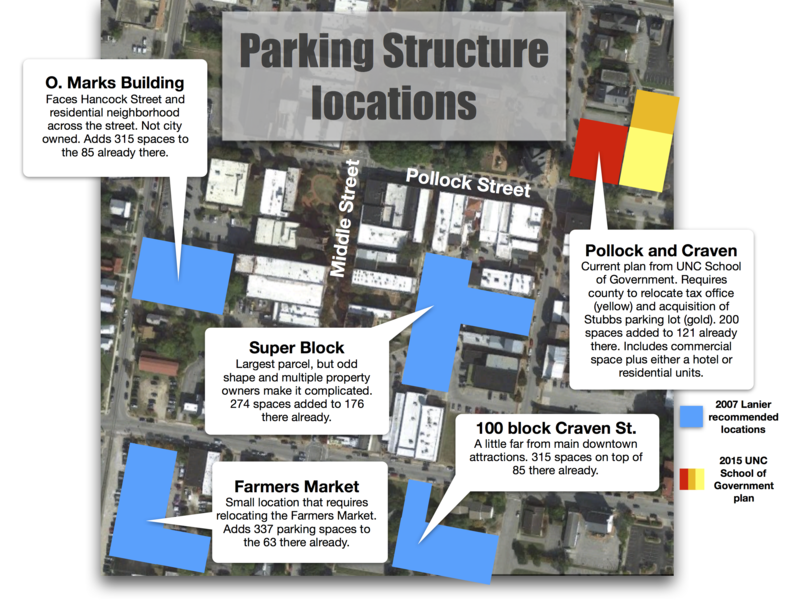 Install paid parking on Broad Street between Middle and East Front streets to discourage people from parking there instead of closer in to downtown where parking is free but limited to two hours. In other words, to keep downtown employees and business owners from parking on Broad Street. Expand the two-hour time limit zone to include New Street, one block north of Broad Street. Issue two free parking passes to residents who live in the downtown area and on New Street, and charge them for any additional passes, amount to be determined. Increase and enhance directional signs leading visitors to existing public parking lots. Install charging stations for electric vehicles. Final decisions on the recommendations are expected Tuesday at the police bunker. Aldermen Mitchell, during the meeting last week, said the committee is merely making recommendations to the Board of Aldermen, which will make final decisions. She said it to Broad Street business owners, government representatives and court house lawyers generally opposed to the idea of paid parking on Broad Street. They were invited to the meeting to express their reaction to the proposal, and then promptly ignored.